I’ll start by saying these aren’t the original photos for this post. I am a notorious photo hoarder and am known for not deleting photos of my flash card until I’m very sure I have all the photos safely on my hard drive. And yet, on Wednesday, I wiped that card clean only to realized last night quite a few photos were gone. So instead, these are photos from this mornings breakfast. This is one of my happy spots. While I dream of having a yard again, my back patio, surrounded by my small garden, is a peaceful place to be. My brain has been a bit scattered recently. This summer has been a doozy. In the past four month I moved across the country, finished a book (made it through round one of edits- woo! ), and Monday, M and I head home to get married. It’s been quite a summer, but I wouldn’t have had it any other way. Preheat oven to 300˚ and cover two baking trays with parchment paper. Place hazelnuts in a food processor and pulse until the nuts are in small pieces but not quite the consistency of meal. 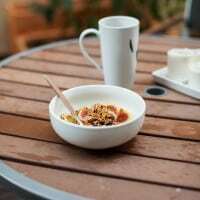 Place in a large bowl along with the rolled oats and sea salt. In a small sauce pan, combine cardamom, orange zest, honey, and butter. Heat over low heat until butter is melted and cardamom is fragrant. Pour over the oat mixture and stir until everything is well coated. Divide granola onto the two baking trays and press into a thin layer. Place in oven and bake for 45-55 minutes, stirring every 20 minutes or so. Granola should be golden in color. Remove from oven and let cool for 10 minutes. Pour into a bowl and stir in dried cranberries. *I’ve also made this with 6 green cardamom pods. Break open the pods, remove the seeds, and grind in a spice grinder or a mortar and pestle. Also, I occasionally add the cranberries with the oat mixture before baking so that they bake with the granola. However, I don’t always like the chewiness that comes from the baked dried fruit. Your patio looks like it is such a lovely place, Erin. 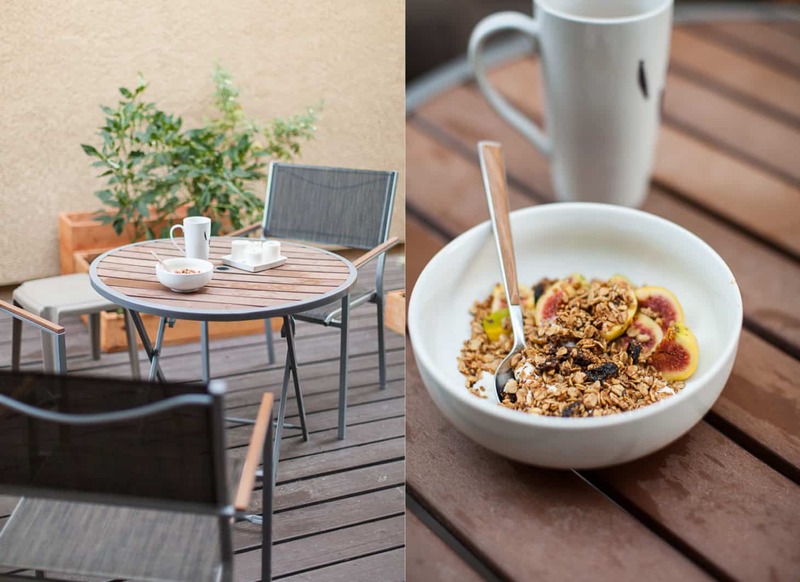 The morning light in these pictures is just perfect–not to mention the tasty bowl of granola. Congratulations on your wedding. Sending you all me best! 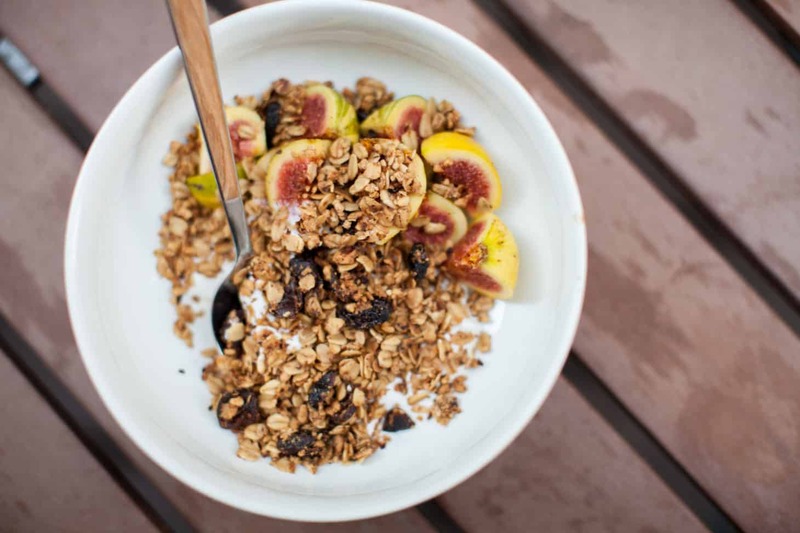 Totally loving the cardamom addition to this granola, I can only imagine how delicious this must be in the morning! Congrats and good luck! Oh so pretty! I love this granola!! Have and awesome wedding!! I wish you two the happiest day! I love cardamom in anything but never thought to put it in granola. Yum!! All the best for the big day! Your breakfast nook does look quite peaceful. The perfect spot for a good granola like this. Happy wedding week!! What a beautiful breakfast. Congratulations on the upcoming wedding! Many wishes for a day overflowing with joy + love. 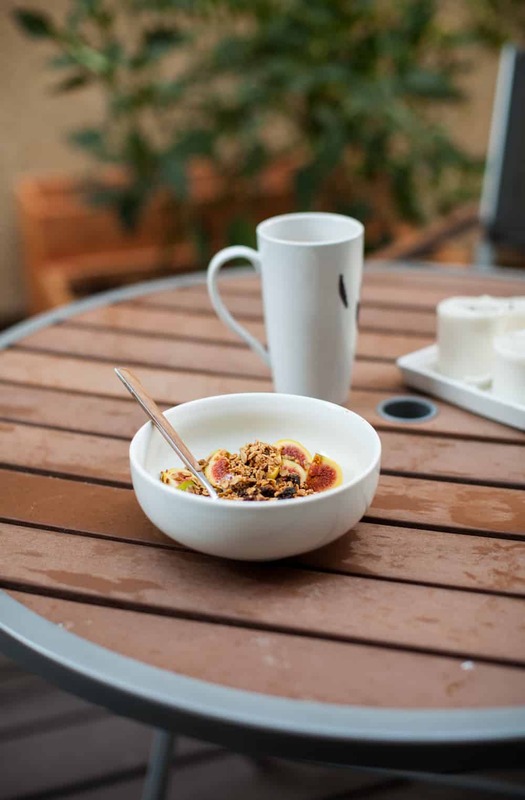 I love how orange flavors add an unexpected brightness to granola. Once, I accidentally bought a dried fruit mix with citrus peel in it and used it to make granola, only to be pleasantly surprised by the citrus’ contribution. happy wedding week! what a lovely granola recipe. Congrats on your wedding! 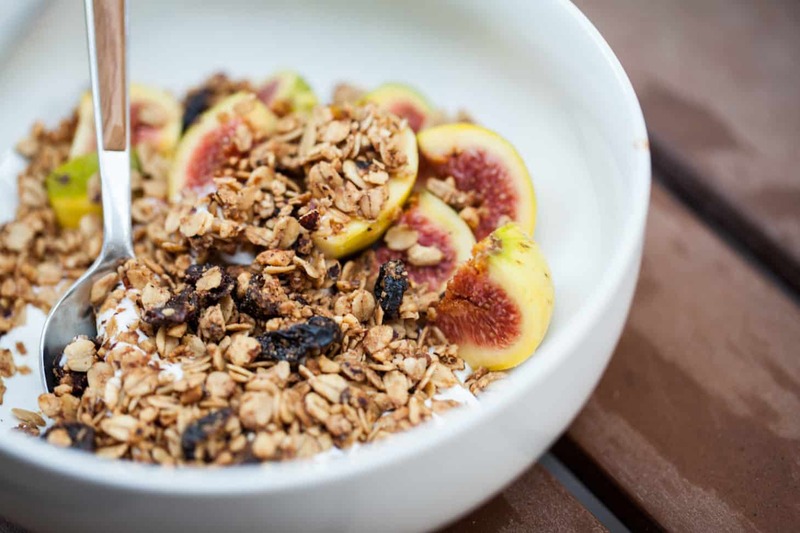 This granola looks absolutely amazing. I love that you spiced it with cardamom, one of my most favorite spices. This looks amazing. And how exciting! I hope you’ll have a lovely wedding!